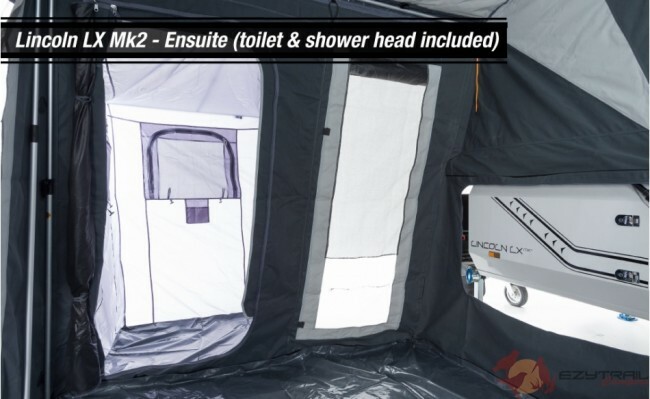 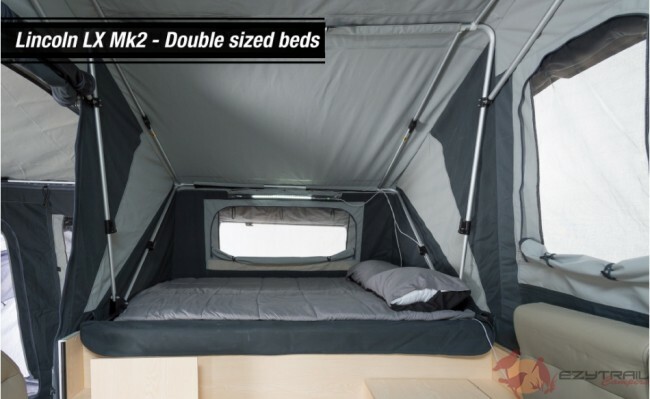 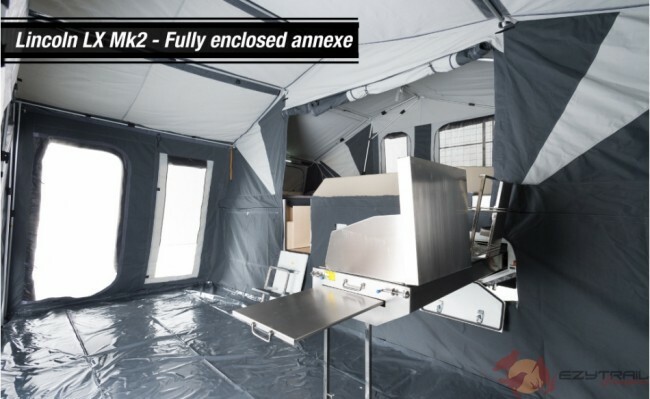 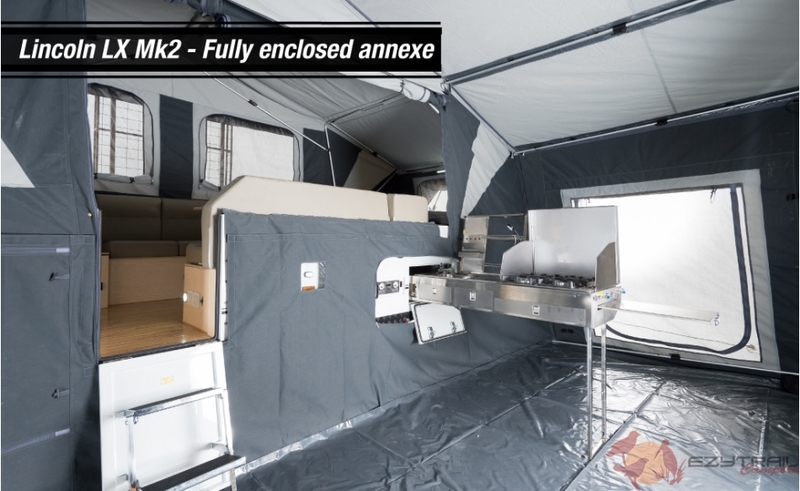 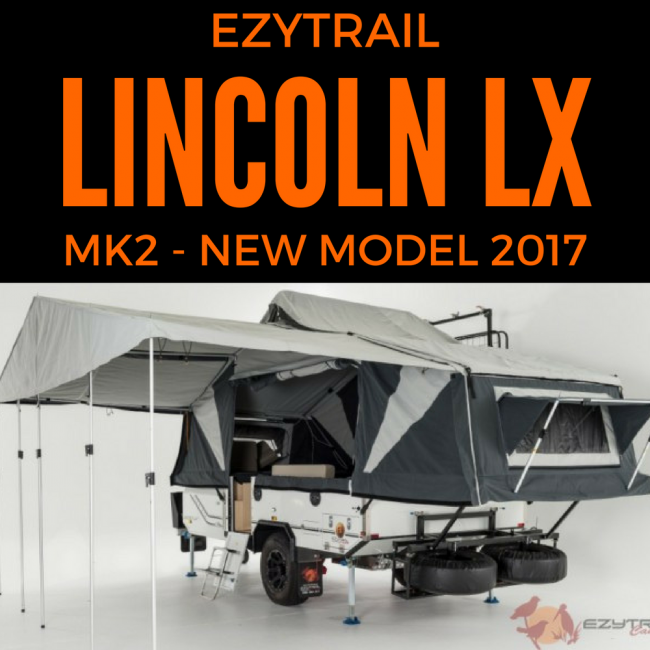 Ezytrail Lincoln LX Mk2 is a dual folding hard floor camper with a huge indoor seating arrangement and sleeps up to 6 people over 3 double beds. 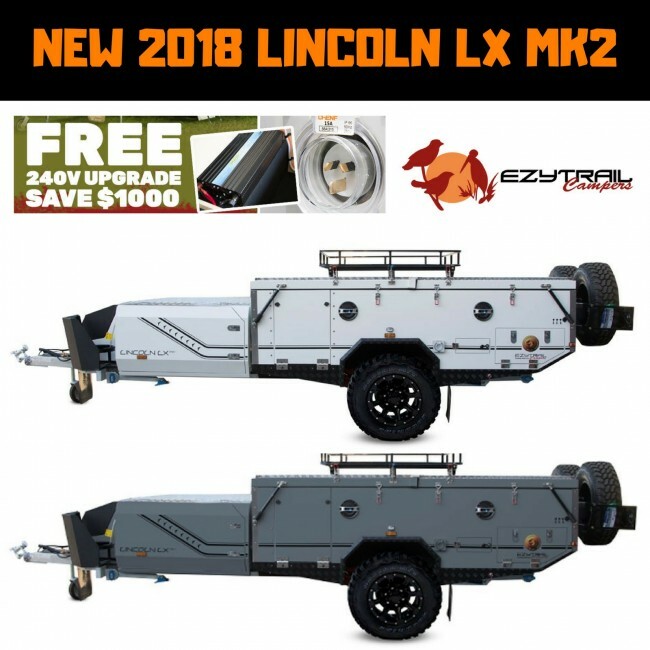 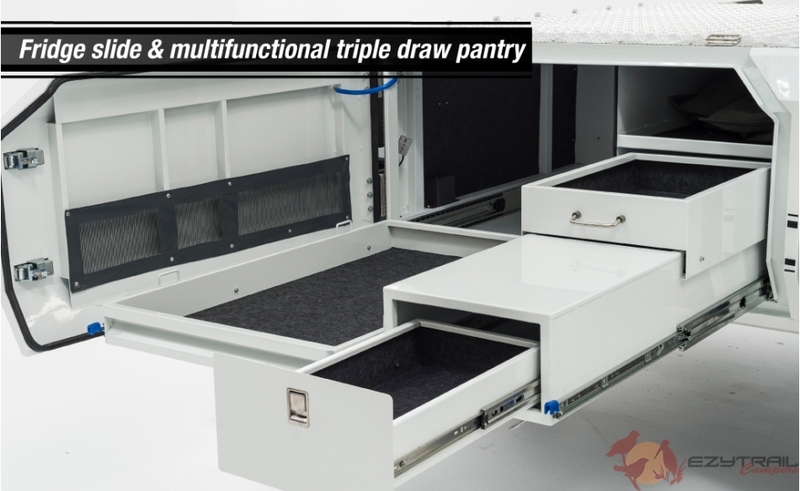 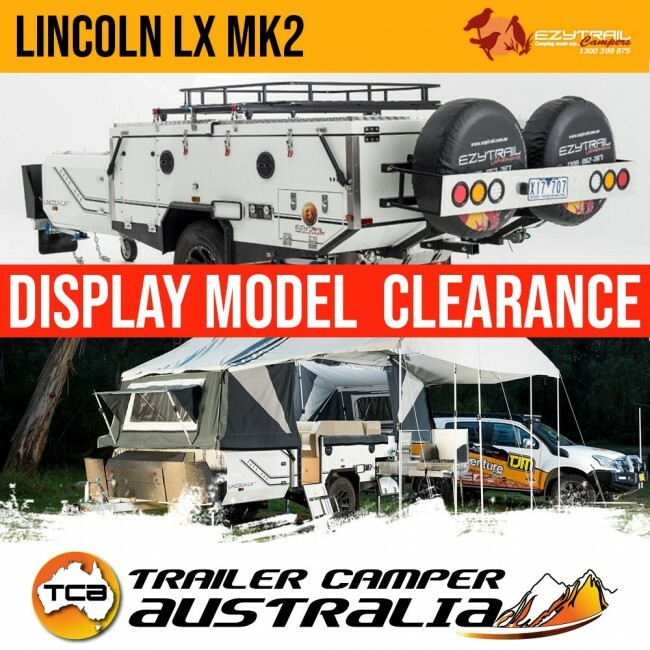 2018 Eyztrail Lincoln LX MK2 Camper Trailer - Now includes 240v power input, 20 Amp Battery Charger & 1500w inverter installed. 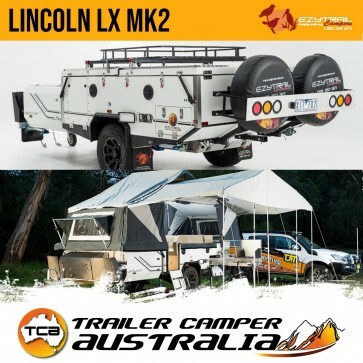 The ultimate in luxury Off Road "Glamping" Camper Trailer. 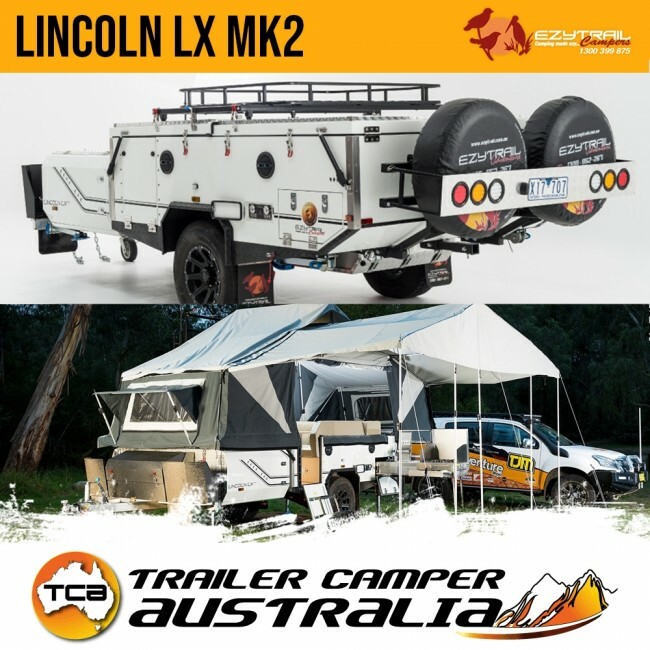 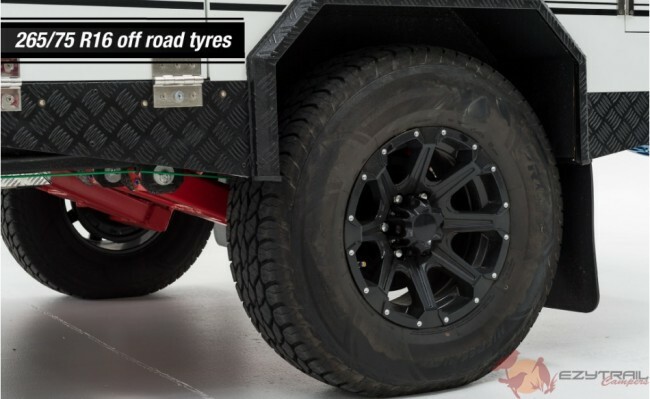 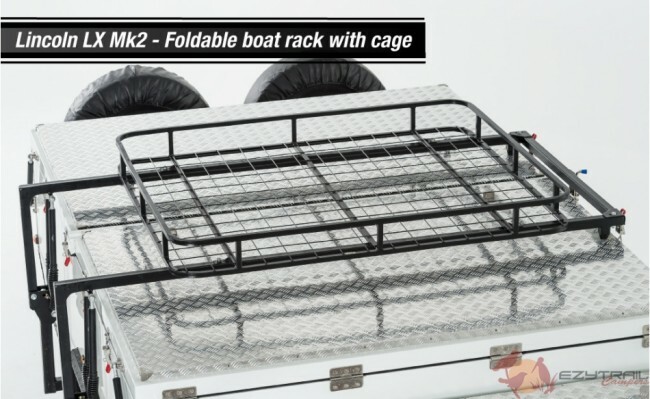 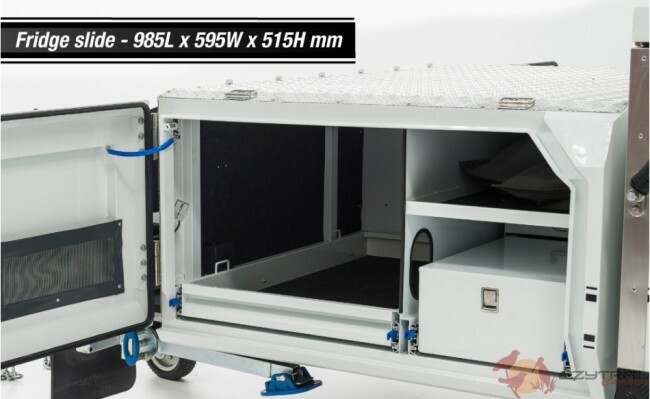 The all new Ezytrail Lincoln LX is the bench mark when it comes to off road camper trailers. Offering both luxury style and comfort, the Lincoln will get the family to your favorite secluded camping spot with ease. 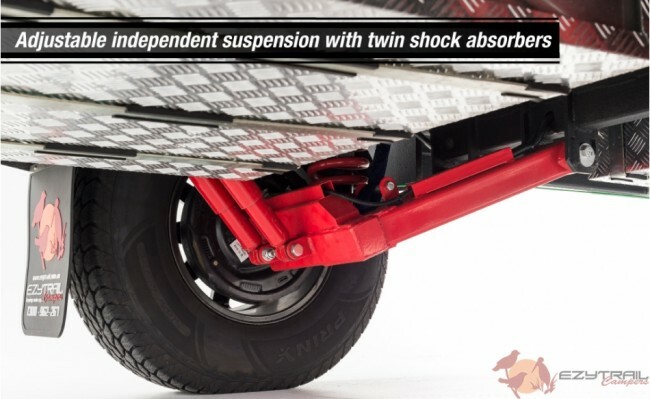 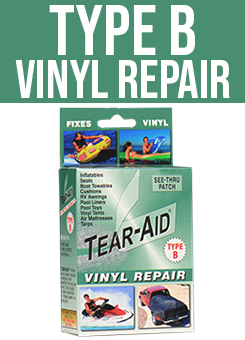 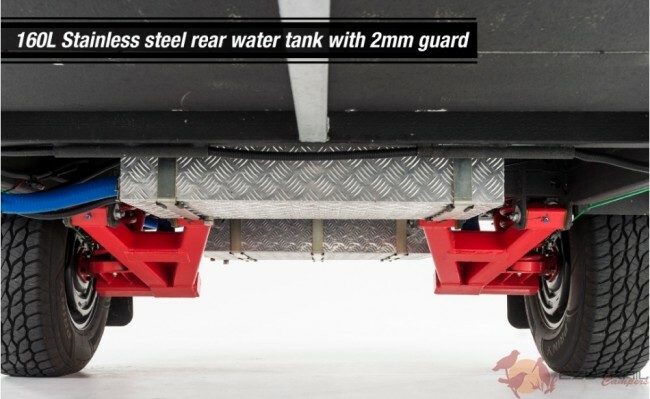 With its adjustable independent suspension featuring twin shock absorbers it will leave dirt tracks in its wake. 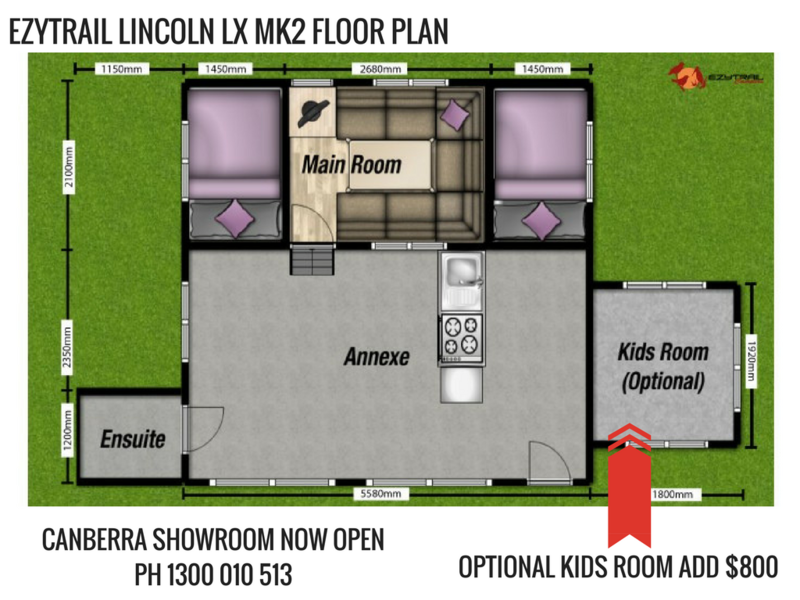 Open up the trailer to discover two queen size beds and a comfy lounge area that not only sees the family sitting down to a delicious meal prepared on the slide out stainless steel kitchen outside, but becomes another bed. 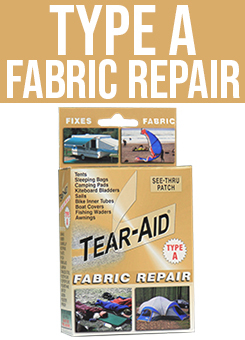 Meaning you can comfortably sleep a family of 6 in the versatile hard floor camper. 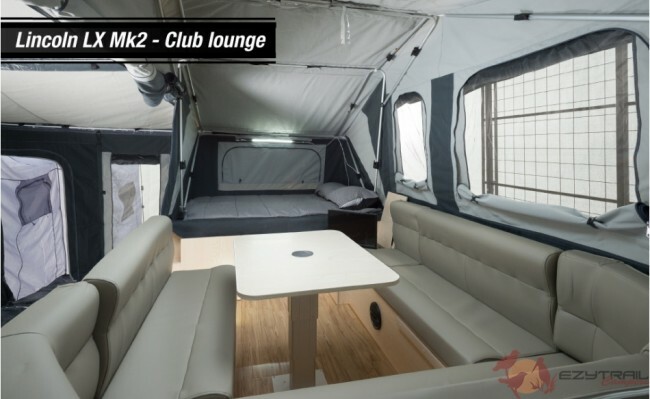 Inside features also include a Tv connected to a DVD player with speakers on the inside and outside of the camper. 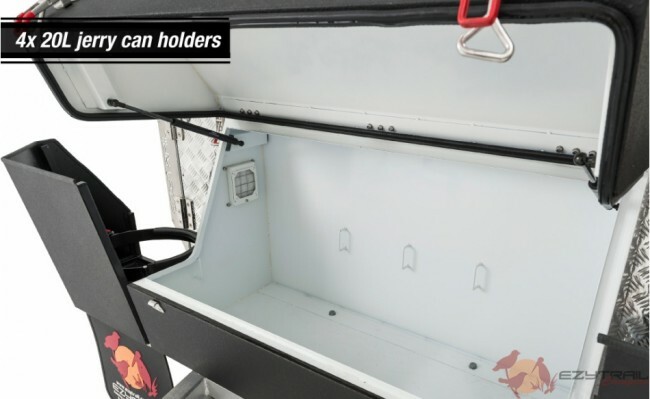 Throughout you will find LED lighting and also a voltage meter linked up to the twin 100h deep cycle batteries to keep you powered up on your trip away. 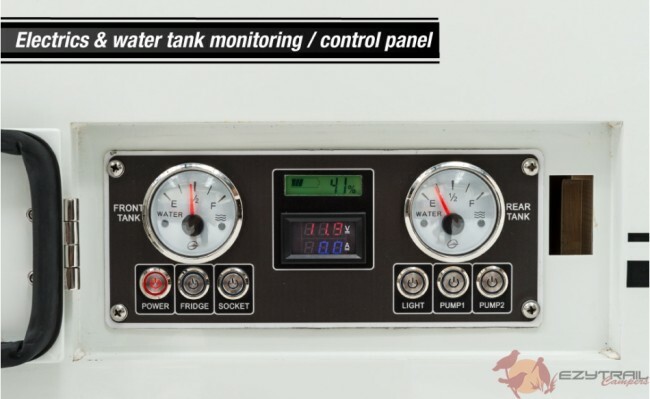 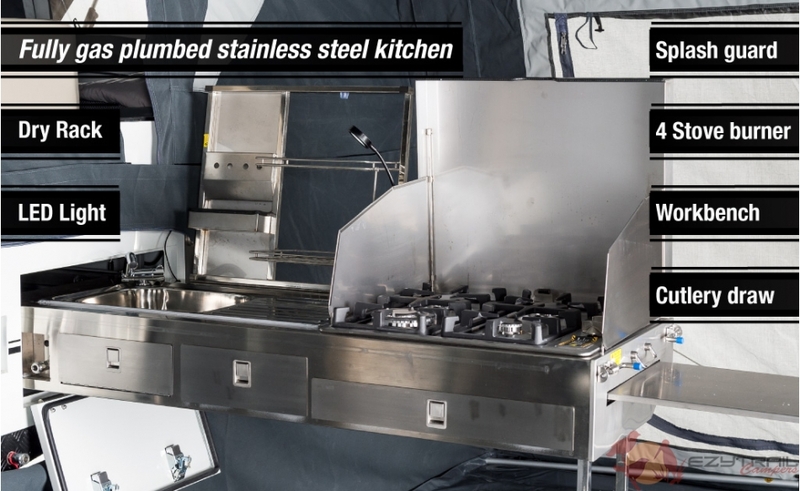 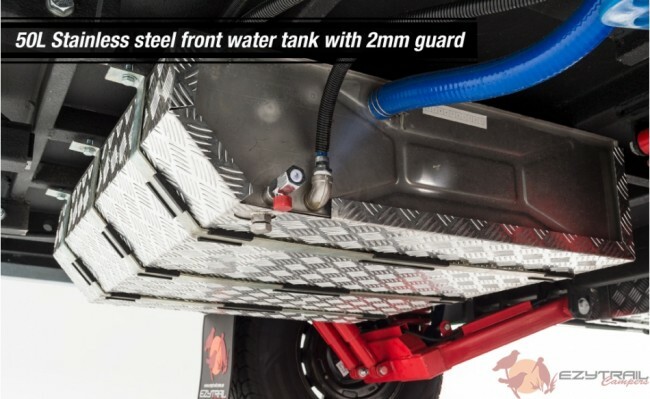 Water supply for washing up or even showers won’t be an issue with twin stainless steel water tanks featuring twin electric pumps holding a huge combined 210 litres of water, while the inside water gauge will keep you knowing how much water is on board. 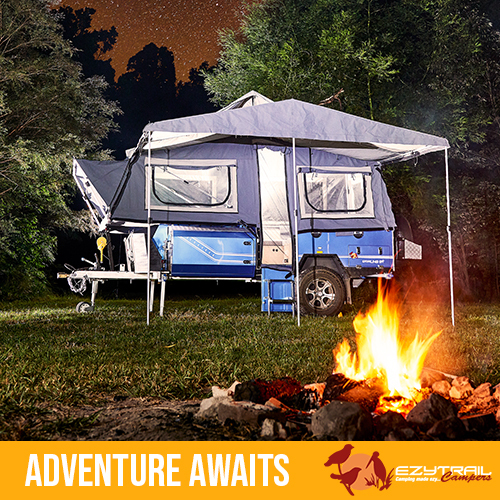 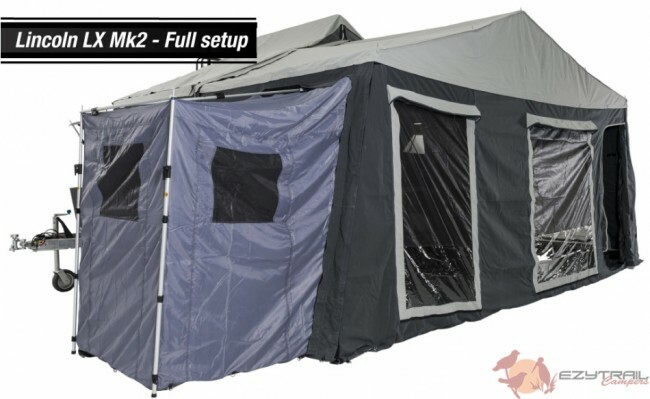 The Ezytrail Lincoln LX tent offers all new sky light style panels inside that will allow bright sunlight during the day and the amazing stars above by night. 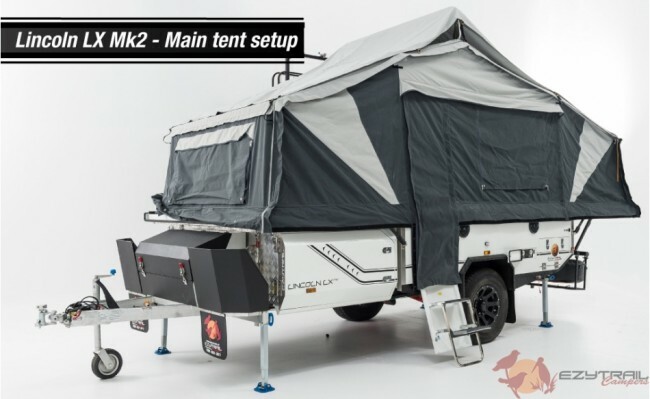 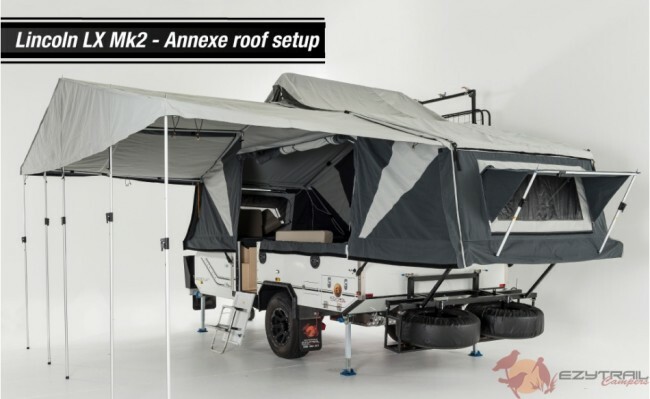 The tent also features a new alfresco style side that can be removed to open the camper up to the huge annex outside.Style and comfort go hand in hand in the all new K Series Lincoln LX.